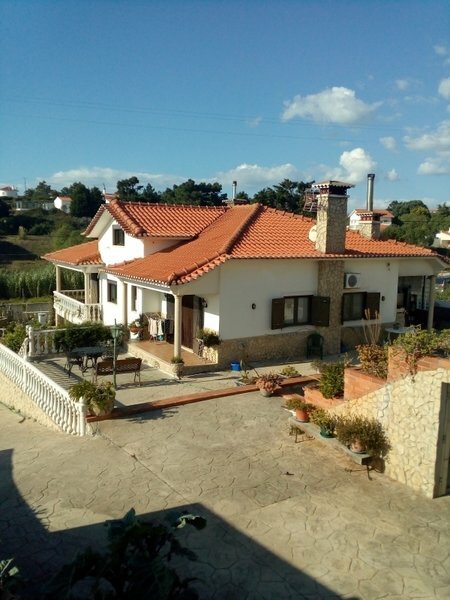 Traditional Portuguese style villa set in a quiet location in Alcobaca, minutes from the beach of Sao Martinho do Porto with private swimming pool (soon to be completed) and beautiful mature gardens and views over the countryside.. It is located between the hills in the countryside and the sea and has excellent sun exposure. It has potential for a bed and breakfast opportunity therefore viewing is essential. It has welcoming and inviting accommodation including two spacious kitchens, 3 bathrooms, attic, basement and storage. The property enjoys many features including 2 fireplaces, stove, built in barbecue, automatic gates, air conditioning and garage space for 2 cars. The outside of the property includes a vegetable plot, small yard and fully walled garden.